Our crowdfunding campaign has ended, but you can still support the Perfecto Ben (Chico) Segura and Cruz Hernandez Veteran's Endowed Scholarship by clicking here. Why an endowment at New Mexico State University? When I first met Chico, I told him, “I just want to box”. He replied, “You’ve come to the right place”. A simple 11-word conversation changed my life forever. From that moment, Chico took me under his wing. He knew I didn’t have the money that some established boxers in Las Cruces had, but he saw I had the passion, heart and dedication to become successful. As a young fighter, he mentored and led me to many victories, including the most amateur titles won in Southern New Mexico boxing. Chico, through his own experience as a U.S. Navy Boxer and world renowned boxing coach encouraged me to join the United States Army. This decision enabled me to pursue my boxing passion, while developing a military career. Chico’s commitment for all youth to succeed is one of the many things that made him great. 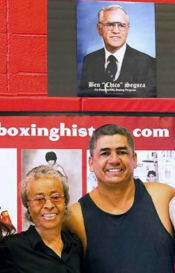 He dedicated so much time and resources, to include founding the Las Cruces PAL Boxing Gym. An endowed scholarship within the veterans program at NMSU will allow Chico to forever impact lives of students and veteran’s. This is why, my wife Stephanie and I chose to start an endowment. Not only do we want to honor a legendary boxing coach and honorable veteran, but we want to pay it forward to fellow veterans. We need your help in launching this scholarship for veterans at NMSU. 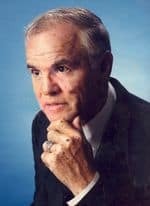 Please make your contribution, of any amount toward the Chico Segura and Cruz Hernandez Veteran's Endowed Scholarship. Every contribution of any amount make a difference, please show your support today.